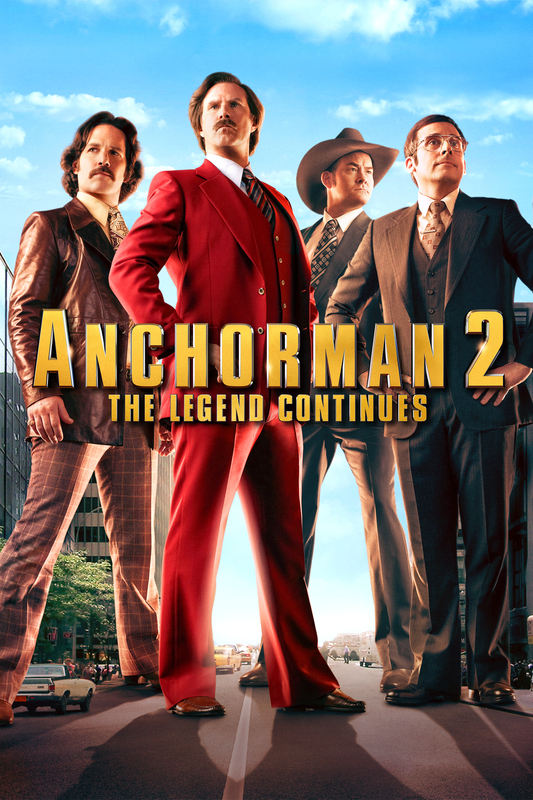 Anchorman2: The Legend Continues is the 2013 sequel to Anchorman: The Legend of Ron Burgundy. Adam McKay returns as director and Will Ferrell, Steve Carell, Paul Rudd, David Koechner, and Christina Applegate all reprise their roles. It’s not as funny as the first one, and honestly there’s no way that it ever could have been better. The first one is a classic. This one is just a sequel. It has its moments, but it’s not as quotable and some of the jokes seem forced (like not understanding how cruise control works, what a tired gag). The movie tries too hard to be funny. They resort to recycling or paying homage to jokes from the first film, and they trot out celebrity cameos like it’s going out of style. It spoofs the rise of 24-hour cable news networks that deliver more entertainment than actual news. There might not be much of a message, but there is a message: don’t be duped by sensationalist newscasts. Will Ferrell’s character is still funny. Paul Rudd and David Koechner’s characters are still funny. But Steve Carell’s Brick Tamland is a black hole. His character had some decent moments in the original movie, but he drags down the sequel. Ron Burgundy, Brian Fantana, and Champ Kind are all unintelligent characters because they have big egos and stubborn personalities. Brick Tamland is an unintelligent character because he is mentally handicapped. Steve Carell plays him as a retard and that’s lazy. And his whole romantic subplot with Kristen Wiig was downright stupid and unnecessary. Cool, lets hook up a retard with another retard and let hilarity ensue. Did I enjoy this movie? Yeah, a little bit. I would only recommend it if you liked the first one. It’s not a masterpiece, but it’s not a rehash of the first one like The Hangover Part II. It’s not hard for a sequel to be better than The Hangover Part II though.